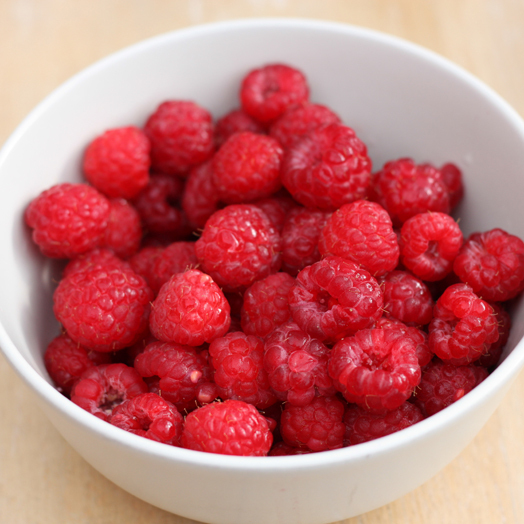 Raspberries are a sweet and subtly tart fruit that are belived to have originated in eastern Asia. They are usually reddish-pink in color, but can also be black, purple, orange, yellow and white. Store unwashed berries in the refrigerator. Use quickly, as fresh organic berries are not sprayed with anti-fungal agents. They spoil quickly!